Sea of Thieves is in the process of fleshing out its gameplay experience, which is welcome news for the pirate game, since its launch was cited as relatively shallow by many players. 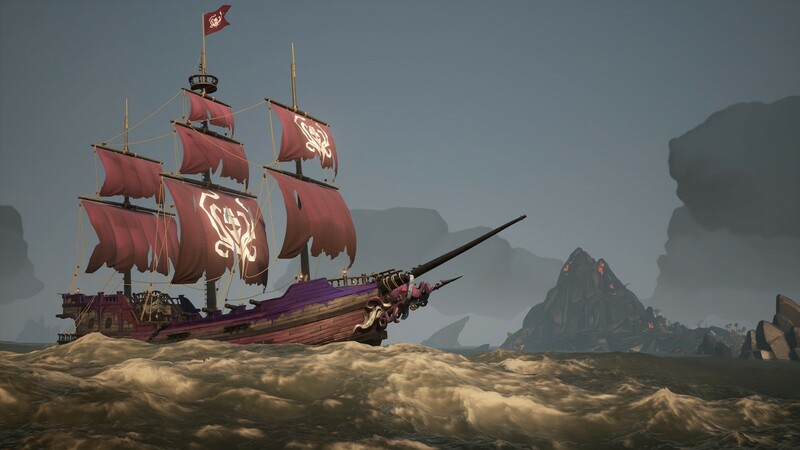 The Forsaken Shores expansion has been rolling out new content, and today sees the arrival of a brand new mission type: Cargo Runs. Cargo Runs help you gain reputation with the Merchant Alliance. By taking on a Cargo Run, you head to an Outpost or Seapost to pick up your cargo, and there you’ll get info on where to deliver it. This new mission type is distinct from previous (and similar) styles of missions because you’re provided with the items to transport without having to scavenge for them, and these Cargo Runs can be tackled alongside other active voyages, allowing you to stack objectives. Cargo Runs are available in-game as of today. You can learn more about Cargo Runs in the previously released video explaining the new mission type.